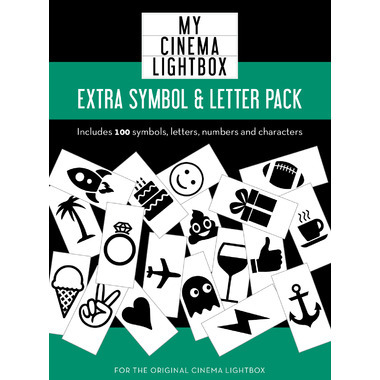 Let your creativity shine with the My Cinema Lightbox Extra Symbol & Letter Pack. 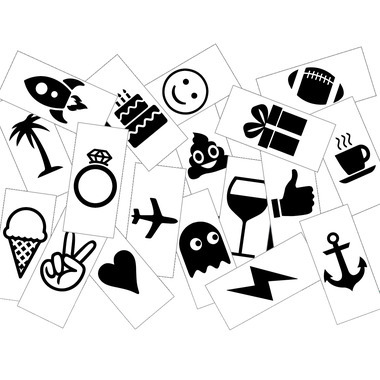 Featuring an assortment of fun icons, symbols, and punctuation marks. 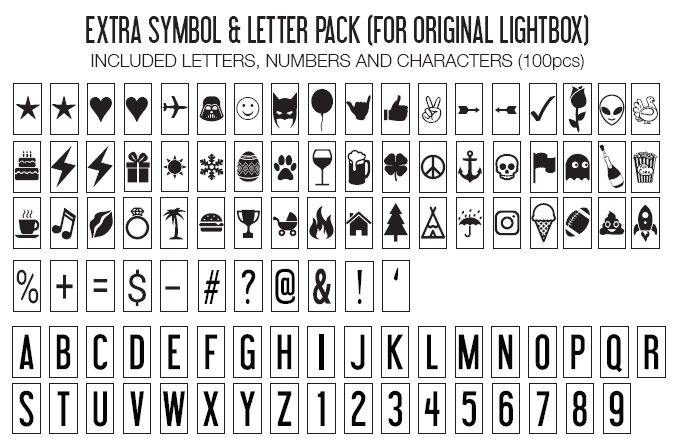 Also included, is an entire alpha numeric set for times when you need an extra letter or number! Great! Love all the cute emojis. Though now I have so many letters etc I have to find a way to organise them.